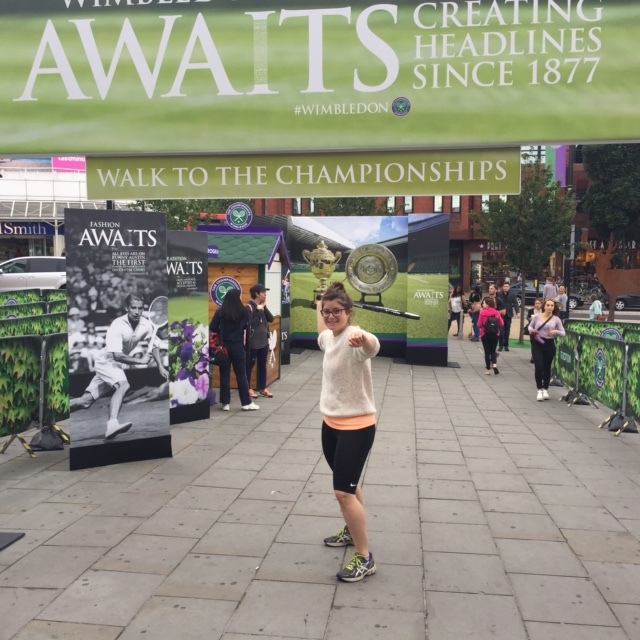 Sometimes there are events that can entice even me out of East London which is how I found myself at The Wimbledon Club on the middle Sunday of the Wimbledon tennis tournament. 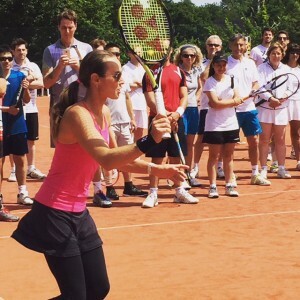 Yep, my first time at Wimbledon and I was going to not only meet Martina Hingis but also get the opportunity to go through a clinic with her and learn some of her tricks. Wow. 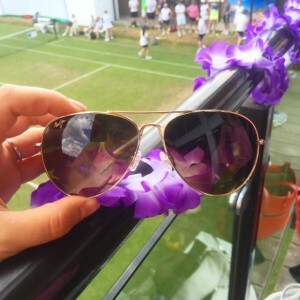 I met some of the other lovely blogger girls outside the station and we all piled into taxis over to The Wimbledon Club where we were welcomed by the Maui Jim team and their lovely sunglasses. We got to try on all of the glasses in the range and I settled on a pair of classic aviators because you can never have too many aviators. 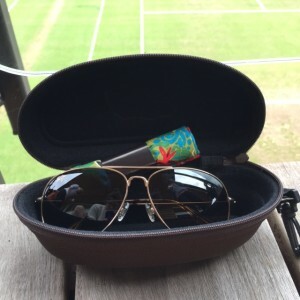 The lenses on the Maui Jim sunglasses are polarized so they show colours as they’re meant to be seen, not bleached out by the sun like you might see through other sunglasses. 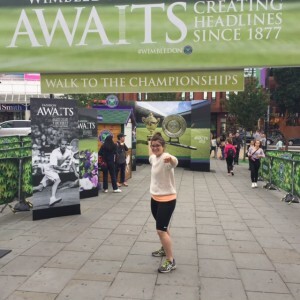 They sponsor some of the players competing at Wimbledon because the glasses are great for sports where you definitely can’t be blinded by the sun! After some Pimms and lovely afternoon tea we headed down to the courts where Martina Hingis and Dan Bloxham, the head coach of Wimbledon, put us through a rigorous warm up before we learnt the basics of the ground shots. The clinic lasted a good two hours which was great as we all really got to play and improve in the beautiful sunshine. 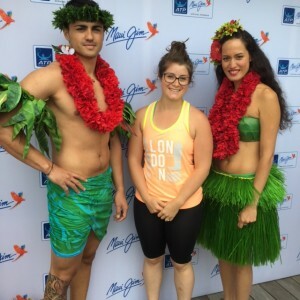 Once we’d had enough we headed back up to the clubhouse for some more Pimms and afternoon tea followed by some Hawaiian dancing and some words from the Maui Jim team. All in all, it was a brilliant afternoon with tennis superstars and the sunglasses have been keeping my eyes safe and sound in the sun. How badass is that. Tennis definitely needs more of that now, especially on the women’s side.